Ellen Datlow is one of the hardest-working, iconic figures in Horror, Dark Fantasy, and elsewhere. When she speaks well of a certain author, I—by default—make a point to seek out writing by that person. Datlow won, on August 20, a Hugo Award for Best Editor, Short-Form. Hence number eight in Night Shade Book’s annual compilation, and 20 tales curated from print, online and, perhaps, cobwebbed nowheres isolated in extragalactic gloom. Opening with “Summation 2015,” the editor replays that year’s incredible fertility. These summations are pure gifts highlighting output both well-known and obscure—notepad opportunities aplenty. 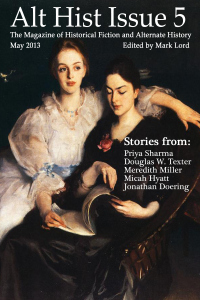 What distinguishes Datlow-edited anthologies from most (not all) others is the mix of newer and not-so-new names tilting toward those less known. William Grabowski for Horror Notes. His full review including his favourites are here. The book opens with a “best of the year” introduction from its editor, Ellen Datlow, my favorite editor of anthologies. I have a love/hate relationship with these intros, especially when they are written by someone whose opinion I hold in such high regard. I love these because I am informed of all the brilliant books/movies/events/etc. that I may have missed out on in the year. I hate these for the exact same reason; everything I don’t have immediately goes on the wish list and it ends up costing me money. It’s bitter sweet. In the case of The Best Horror of the Year: Volume Eight, “Summation 2015” contains about 33 pages of things I need to buy if I haven’t already …Honestly, many people will be tempted to skip this, but don’t. It’s a wonderful breakdown of the past year, and everything that Datlow recommends that I too have read, I’m in full agreement with. The lady really knows her stuff. Steve Pattee for Horror Talk. For his full review and commemts on his favourite stories are here. Thanks to Keith West at Adventures Fantastic for his review of Ellen Datlow’s The Best Horror of the Year Volume 8. Datlow is one of the most accomplished editors in the field. I know that any project, whether reprint or original, will have a top-notch selection of stories. That’s the case here. Not every story was to my taste, but then I don’t expect them to. The only anthology that will be completely to my taste will be one I’ve edited, and maybe not even then…Datlow has a deep love and respect for Lovecraft, and it shows in her selections. Several of them had Lovecraftian elements. All of the stories are top-notch, though, whether they have anything to do with HPL. In scanning back over them as I was writing the above paragraphs, I was struck by how many of the stories I really liked. Narrowing my list was harder than I thought it would be. Keith West. Read the full review here to find out which stories were Keith’s favourites. The Best Horror of the Year Volume 8 is now available. I’m very proud that my short story “Fabulous Beasts” is included in this amazing line-up. This story, which appeared on Tor.com last year, has been shortlisted for a Shirley Jackson Award and British Fantasy Award. I am delighted to be included in Ellen Datlow’s Best Horror of the Year Volume 8 with “Fabulous Beasts, which originally appeared on Tor.com. It’s a tremendous line-up. Best Horror Volume 8- author names to be added. Best Horror of the Year Volume 4 is now available for $1.99 as an ebook from Amazon and Barnes & Noble. Ellen Datlow‘s Best Horror of the Year (Volume 6) is now out! I am very excited to be included alongside writers like Neil Gaiman, Kim Newman, Nina Allen and Ray Cluley, to name but a few. My story, “The Anatomist’s Mnemonic”, was initially published in Black Static 32. As always, a big shout our to its editor, Andy Cox, and to Ellen. She touched each one in his little finger and his thumb by way of demonstration. Sam felt the start of gnawing elation. “Fascinating.” He’d been preoccupied with aesthetics, not construction or mechanics, but her words thrilled him. “Why?” He relished her pleasure. She made him arch his thumb to reveal two taut lines along his wrist. He felt like he was party to the arcane. “How do you remember all that?” Sam wanted her to know he was impressed. The e-version of Ellen’s Best Horror (Volume 5), which contains shorts by Peter Straub, Margo Lanagan, Stephen King and Livia Llewellynn ( as well my own, “The Ballad of Boomtown”) is on offer for a limited period for the $1.99. More info on here. Ellen Datlow has released the table of contents for The Best Horror of the Year Volume 6. 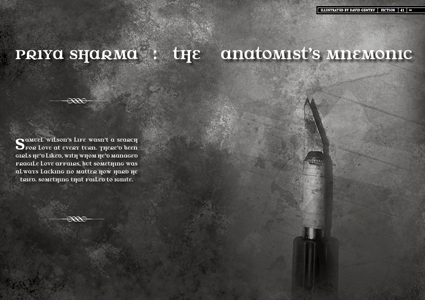 I’m still a bit phased about being included with “The Anatomist’s Mnemonic” which appeared in Black Static 32. Other Black Static stories in there are by Stephen Bacon, Ray Cluley, Tim Casson and Steve Rasnic Tem. There’s also Kim Newman, Nina Allen and Neil Gaiman’s story from The Guardian website. Thank you, thank you, thank you to both Andy Cox and Ellen Datlow. The Best Horror of the Year Volume 5, edited by Ellen Datlow, is now available in print from Amazon UK, Amazon US and by order from your local bookshop. I’m delighted that it contains “The Ballad of Boomtown”, my short story that appeared in issue 28 of Black Static. Ellen’s Honorable Mentions shortlist for the anthology also contains “Pearls” (issue 4 of Bourbon Penn). “Needlepoint” (issue 242 of Interzone) and“Fish Skins” (issue 42 of Albedo One) are on her longlist. So, many many thanks to Ellen Datlow, Andy Cox of TTA Press, Eric Secker of Bourbon Penn and the editorial team of Albedo One (John Kenny, Bob Neilson, Peter Loftus, David Murphy and Frank Ludlow). Mark Lord, editor of Alt Hist, has published interviews with all the authors who appeared in the last issue. If you want to read the interview with me that relates to my story, “After Mary”, it’s here. 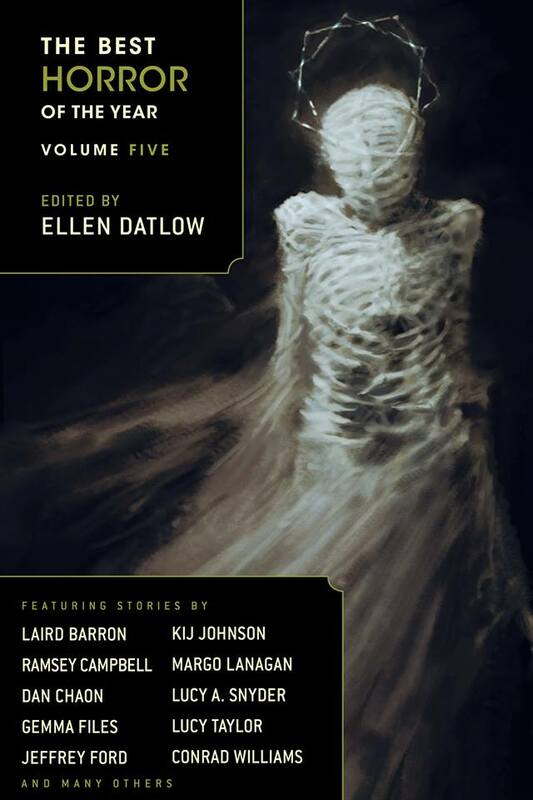 The Best Horror of the Year Volume 5 Edited by Ellen Datlow and published by Night Shade Books is out now as an e-book. The print edition will be available in August. It contains my story, “The Ballad of Boomtown”, which first appeared in Black Static Issue 28. If you want to know more about it, have a look here. Many thanks to Ellen for including it. Purchase the e-book from Amazon US, Barnes and Noble. Pre-order print copy from Amazon UK, Amazon UK or your local bookshop.